LAUSANNE, Switzerland -- The World Baseball Softball Confederation (WBSC) today announced that the world governing body has awarded a sanction to World Baseball Classic, Inc. (WBCI) for the 2017 World Baseball Classic and the tournament's qualifying rounds to be held in 2016. Under the renewed partnership, WBCI, an entity jointly governed by Major League Baseball and the Major League Baseball Players Association, will stage the fourth edition of the World Baseball Classic, which will feature the top nations in the WBSC Baseball World Rankings from all continents -- comprising a global representation of 28 National Teams. The 2017 World Baseball Classic will also be recognised by WBSC as its Official men's Baseball World Championship, with the winning nation crowned the world champion. "This is a very exciting time for baseball's continued globalisation and positioning," said WBSC President Riccardo Fraccari. "WBSC is absolutely delighted that Major League Baseball -- one of the most iconic brands in all of sport -- shares this vision and is committed to showcasing our sport to global audiences and to developing the National Team brands through the World Baseball Classic." 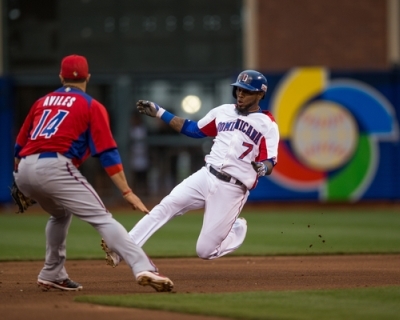 "Since its inception in 2006 the World Baseball Classic has been the premier international baseball tournament which features the best players from around the world facing off against each other for their countries," said Major League Baseball COO Tony Petitti. "Major League Baseball thanks the WBSC for their continued support and recognition of the World Baseball Classic in sanctioning this event." Timothy Slavin, Chief of Business Affairs for the Major League Baseball Players Association said: "We appreciate the WBSC's ongoing support of the World Baseball Classic and we commend the WBSC and its National Teams for their dedication to helping increase the global popularity of our great game." President Fraccari added: "Through this successful partnership, the World Baseball Classic has helped to elevate the popularity, value and attractiveness of National Team properties and gives the fans another great opportunity to see some of their favourite players playing for their countries. "great opportunity to see some of their favourite players playing for their countries."